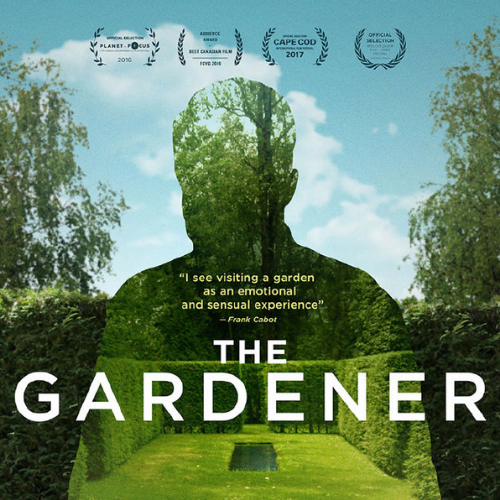 The Gardener is a documentary reflecting on the meaning of gardening and its impact on our lives. At 86, influential gardener and horticulturalist Frank Cabot recounts his personal quest for perfection at Les Quatre Vents, his 20-acre English-style garden and summer estate that has become one of the world’s foremost private gardens. Created over three generations, it is an enchanted place of beauty and surprise, a horticultural masterpiece of the 21st century. Through the words of Cabot and his family, and of gardening experts and writers, the film looks back at this remarkable man’s artistic philosophy that gave birth to one of the greatest gardens in the world.